An interesting phenomenon is occurring in the craft beer world. After years of every description of IPAs, fruit beers, milkshakes, spiced beers, and high-alcohol monsters, it has become cool for brewers to get back to their roots. 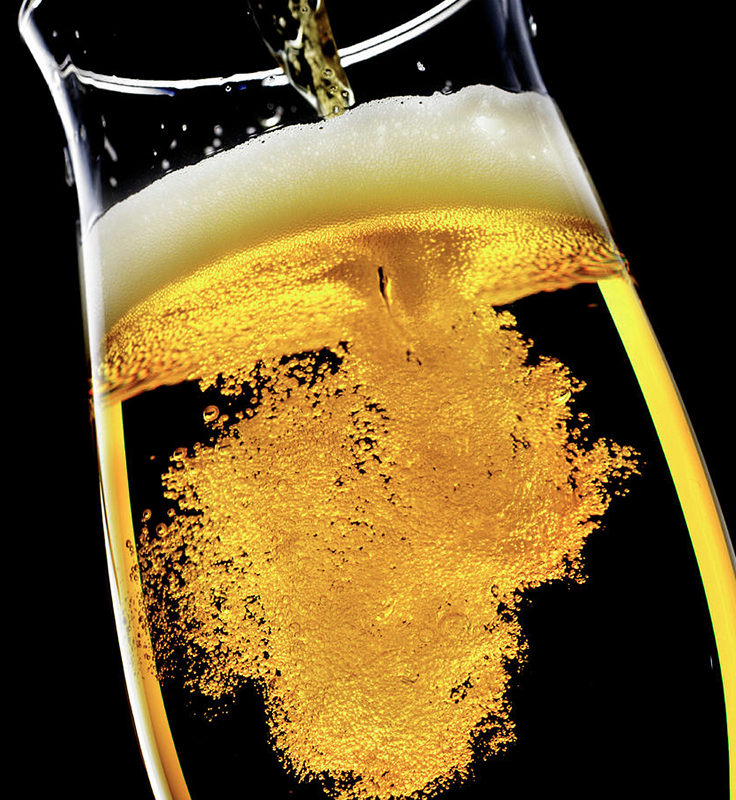 The hot style at many craft breweries these days is Pilsner. Yes, good old authentic Pilsner. Because most of the world’s macro beer production focuses on some variation on the style, craft brewers have ignored Pilsners for years. Authentic Pilsners are not only amazing beers, but they are among the most difficult styles to get right. They involve complex brewing and fermentation processes and there’s nothing to hide behind. While you can hide small imperfections in a roasty stout or a hoppy IPA, you can’t in a golden Pilsner. These days, when a brewer wants to show off his or her brewing skills, producing a high-quality Pilsner is the way to do it. Pilsners are also ways for breweries to get back to basics with a clean, straightforward, classic beer style. Pilsners have a long, storied history and basically changed the world of beer forever. They are among my favorite beer styles and I am also very proud when I brew a good one. So let’s take a closer look at this amazing classic. The name Pilsner basically means “of Plzeň” (Pilsen in English) a small town in the Bohemian region of the Czech Republic. Beer has been brewed in Pilsen since 1295 but the beers were all dark ales of inconsistent quality. To rectify this situation, Pilsen founded a city-owned brewery in 1839 to brew a new style of beer that used bottom-fermenting yeast and was then stored cold in ice caves. This aging process – called lagering – resulted in clearer beers with longer shelf life. 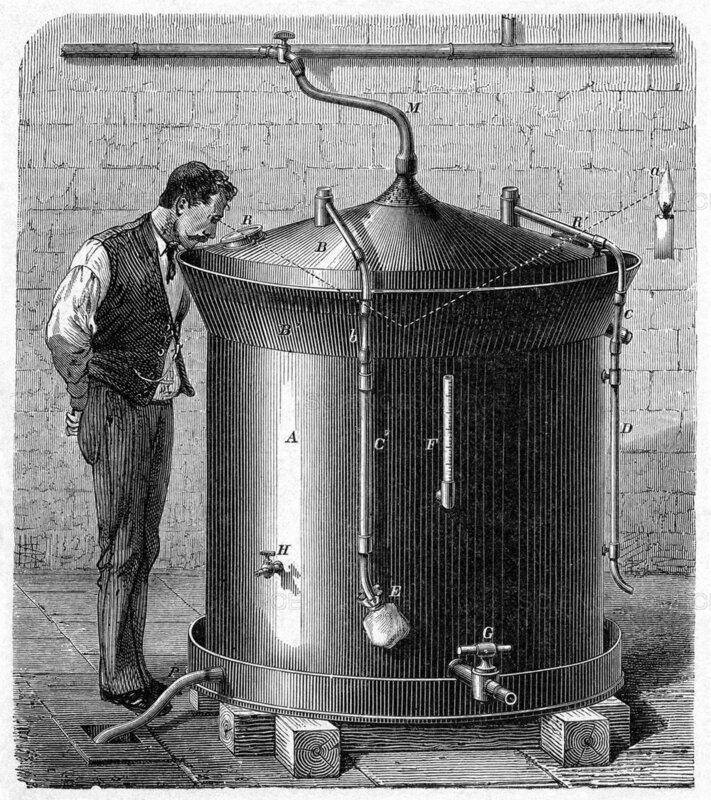 The brewery brought in Bavarian brewer Joseph Groll who, using this new fermentation technology and paler malts, which were a recent innovation, introduced his first batch of the new beer on October 5 th , 1842. This, the world’s first blonde lager, was called Plzensky Prazdroj or Pilsener Urquell in German. The beer is still made at the same brewery today. Paler malts, Pilsen’s very soft water, local Saaz hops and Bavarian lagering resulted in a clear, golden beer that was a sensation. While the old-style dark, murky beers were served in wooden, metal or ceramic mugs, the beautiful golden beer began to be served in glass vessels. It was soon the rage all across Europe. People could not get enough Pilsner. Soon, the style was imitated in Germany, the Netherlands, Belgium and America. Most Pilsners are between 4.0% and 6.0% alcohol and are crisp and hoppy but balanced with maltiness. They tend to be very delicate beers and are best consumed close to their place of origin as they don’t always travel well. Czech Pilseners are still made pretty much like they were in 1842. There are variations by brand, but they tend to be a deep golden color with a dense white head, nice clarity, and a soft texture from the very soft Pilsen water, which ranks among the world’s most pure and ion-free waters. This tones down the spicy Saaz hops, which are typically the only variety of hops used in Pilseners. Czech Pilseners are rich yet easy-drinking. Many consider them the best beers in the world. Brands include Pilsener Urquell, Budweiser Budvar (Czechvar in the United States because of trademark conflicts), Staropramen and Gambrinus. German Pilsners – often referred to as simply Pils - are brewed all over Germany – from Munich to Hamburg. They tend to be light straw to golden in color with a white head and a crisper, earthier hoppiness, often due to higher mineral content in the brewing water. They typically use floral noble German hop varieties. Popular brands include Bitburger, Warsteiner, Holsten, König, Jever, Krombacher, Radeberger, Beck’s and St. Pauli Girl. European-style Pilsners from Belgium and the Netherlands often have a slightly sweeter taste and may use non-barley adjuncts. These mass-produced beers are popular but largely undistinguished. Brands include Stella Artois, Jupiler, Heineken, Amstel and Grolsch. American Pilsners, and their yeasts, were brought to the new world by mostly German immigrants who then used local water, hops, malts and corn to brew robust Pilsners. Prohibition wiped out most of these brewers and those that survived began making the watered-down, fizzy, yellow macro beers that have dominated the American market since World War II. I personally resent Miller Lite referring to itself as a “fine Pilsner beer” when it is neither fine nor a Pilsner. A Bud Light commercial on this year’s Super Bowl tried to diss Miller Lite and Coors for using corn syrup in their beers. They failed to mention that the “dilly dilly” beer uses rice syrup instead. Both corn and rice are mainly used to cut production costs because barley malt is many times more expensive than cereal adjuncts. Blind taste tests have shown that these mass-produced lagers have indistinguishable tastes to the average consumer. I have to say, though, that when the Game of Thrones dragon barbequed King Dilly and his merry men at the joust, I toasted the dragon with my glass of Pilsner Urquell. The good news is that American craft brewers are embracing the Pilsner style and making some truly fine pilsners. Among the many breweries making excellent examples of the style are: Left Hand Polestar Pilsner, Lagunitas Pils, Oscar Blues Mama’s Little Yella Pils, Crooked Stave Von Pilsner, Firestone Walker Pivo Pils, Victory Prima Pils, Samuel Adams Noble Pils, Deschutes Pine Mountain Pilsner, Boulevard KC Pils, New Belgium Pilsner and North Coast Scrimshaw Pilsner. Even though macro lagers continue to lose more market share each year, they still dominate the beer market and that’s not likely to change. Imported beers are pretty much the same. They have their niche and it’s probably not going away anytime soon. Pilsners will make their comeback in the craft beer market, and that is as it should be. We can look for more well-made Pilsners on tap and on the shelves and the spirit of innovation of the craft beer industry will propel the style forward. We’re already seeing Pilsners being made with non-traditional hops and different levels of malt-hop balance. As more beer drinkers find themselves ordering something lighter and more drinkable than Double IPAs and Imperial Stouts, Pilsners will be the beer of choice. But mostly, people will order Pilsners because they are so damn good! Cheers!